The details for Course Of The Force have finally been announced! . This year the race will kick off at Skywalker Ranch! Is there really any other place this Star Wars themed race should start? I didn’t think so. Here are the details! SAN FRANCISCO (MARCH 27, 2013) – On the heels of last year’s monumental, first-of-its-kind event, Course of the Force, the lightsaber run that captivated the attention of Star Wars fans around the world, is returning July 9th – 16th, 2013. Kicking off at the famed Skywalker Ranch, participants will continue the relay run down through San Francisco with several stops along the California coastline before reaching the finish line— arriving just in time for the start of the 2013 San Diego Comic-Con International convention. Nerdist Industries’ founder Chris Hardwick will be back to host the event, with city-stops along the way featuring “Conivals” where fans can celebrate their love of the Saga with live entertainment, expo booths, giveaways and much more. Course of the Force has reteamed with the Make-A-Wish Foundation chapters of Greater Bay, Los Angeles, Orange County, and San Diego with 100 percent of all runner registration proceeds benefiting the charity. In 2012, the Make-A-Wish Foundation had a strong presence during the inaugural event, with Make-A-Wish kids participating in the opening and closing ceremonies of Course of the Force and running in the event. Given the overwhelming response to the 2012 relay, this year’s event is expanding and will cover nearly 500 miles; at the end of the route, Course of the Force will be hosting activities at the Chuck Jones Gallery in San Diego during San Diego Comic-Con International from July 18th – 20th. Highlights from last year’s 136-mile Course of the Force lightsaber run featured a caravan of costumed runners, Jabba the Hutt’s Sail Barge and two Yoda-fied RVs traveling down the Pacific Coast Highway. In addition to helping grant wishes, participants of Course of the Force will run quarter-mile segments down the California coast, passing off the official Course of the Force lightsaber. Registration is now open at http://courseoftheforce.starwars.com/register. Each relay spot is $150, which includes a customized Hasbro lightsaber, exclusive Course of the Force swag bag and the experience of a lifetime. Runners are encouraged to be creative and wear their best Star Wars gear. All Course of the Force video content will be distributed via Starwars.com at http://courseoftheforce.starwars.com and hosted on the Nerdist YouTube channel at http://www.youtube.com/Nerdist. w00tstock 5.0 Is July 18th! Tickets On Sale March 22nd! That’s right! w00tstock will once again be taking place during San Diego Comic-Con! This year it’ll be on July 18th at 7pm! If you want to snag tickets they go on sale tomorrow at 10AM Pacific! It’ll set you back $37.50 a ticket. The Variety Show for the Internet Set. We now celebrate that rise to power–and let’s face it, nerds pretty much run everything now–with w00tstock, a special event for geeks of every stripe. Television host/special-effects artist Adam Savage (“MythBusters”), actor/author/blogger Wil Wheaton (“Star Trek: The Next Generation”, “Stand By Me”) and music-comedy duo Paul and Storm (The Internet, Da Vinci’s Notebook) present a high-energy night of music acts, readings, comedy, demonstrations, short films, special guests, and other clever widgets born from and dedicated to the enthusiasms, obsessions, trials and joys of geek pride. The show will take place at Balboa Theatre. They have got a lots of new digital comics heading your way with major releases on Tuesday, Wednesday, Thursday, Friday, Saturday and even Sunday this week! 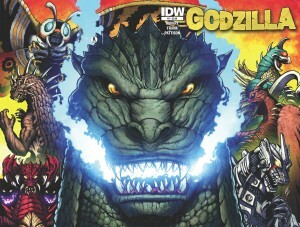 Terrifying New Monsters Rise in…GODZILLA: RULERS OF EARTH! 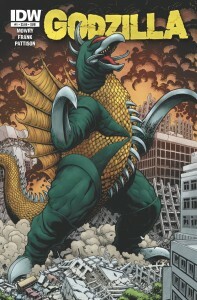 San Diego, CA (March 13, 2013) – Following Duane Swierczynski and Simon Gane’s run on Godzilla, the fan-favorite creative team of writer Chris Mowry and artist Matt Frank have returned with a new ongoing series kicking off this June, GODZILLA®: RULERS OF EARTH! In the wake of humanity’s war on Godzilla, a host of new monsters will rise up, determined to stake claim on mankind’s greatest asset… the Earth itself! In RULERS OF EARTH, the entire world is opened up to the flying, stomping, smashing terror that can only come from the gnashing fangs, slashing claws, and otherworldly powers of destruction that these giant monsters wield. What will Godzilla do when he’s suddenly not the only giant lizard in our small pond? The only way to find out is to pick up the gargantuan thrills of GODZILLA®: RULERS OF EARTH when issue #1 crushes comic shops everywhere this June! Not only will RULERS OF EARTH be sporting covers by series artist Matt Frank, but Godzilla fanatics will also be able to find smashing covers by Bob Eggleton and comics legend Arthur Adams! Want A Veronica Mars Movie? Then Kickstart it! Plus Maybe Comic-Con? The buzz on Twitter today is all about the Veronica Mars movie Kickstarter. If you want to be impressed by numbers and fans just leave the page up and watch the money raised climb every second. Seriously, it hasn’t even been an hour and it’s already at $57,000. By the time I publish this it’ll probably be closer to $60,000! The Kickstarter is being put on by Rob Thomas, the man behind the show and is being backed by Kristen Bell as well as other cast members. If you want all the details check out this article by Jeff Jensen and be sure to follow him on Twitter as well. He’s tweeting more and more details every second. What kind of details? How’s this! That’s right. They’d love to bring this to San Diego Comic-Con and with the way the funds are pouring in, I see that happening. (Seriously, I just checked again and it’s now $78,000). Now the question is, why are you still reading this? Go get your movie! Mimoco & Cartoon Network Enterprises Expand Adventure Time x MIMOBOT® Collection! (AUSTIN, TEXAS – MARCH 11th, 2013) — Mimoco, creator of the MIMOBOT® line of character-based designer USB flash drives and Cartoon Network Enterprises, the licensing and merchandising arm of the television network, are proud to announce BMO Rainbow MIMOBOT, the newest Adventure Time character to be transformed into MIMOBOT USB flash drive form and function. The extremely limited-edition collaboration is the second installment of the Adventure Time X MIMOBOT® Series originally released at last year’s San Diego Comic-Con. BMO Rainbow MIMOBOT is now available in a limited edition of just 2,000 hand-numbered pieces at http://www.mimoco.com, as well as on showcase at Mimoco’s SXSW (South by Southwest) Expo Booth #422, and at select specialty outposts on planet Earth. 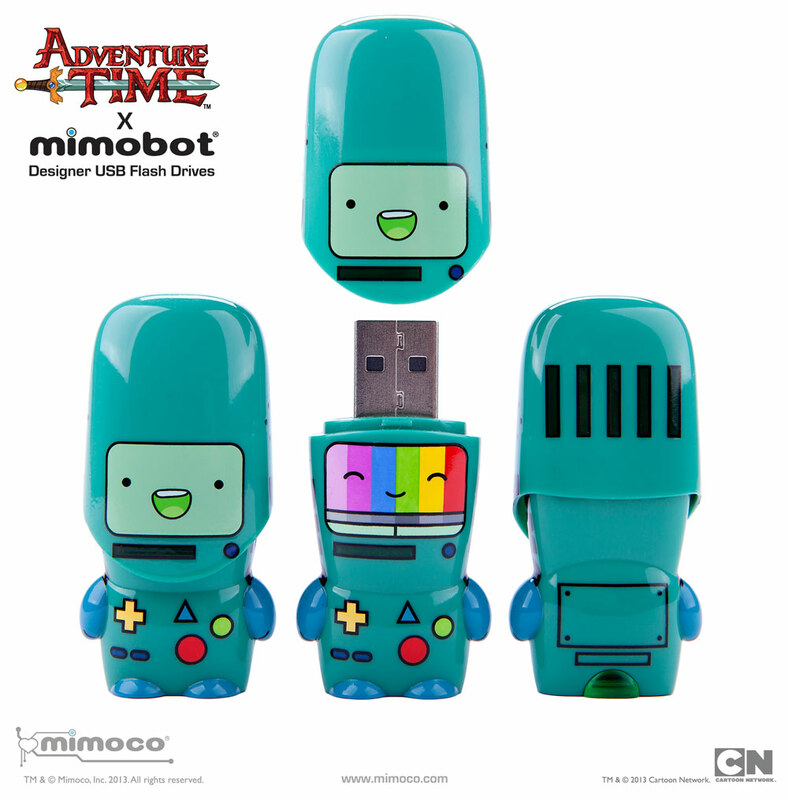 Additionally, all Adventure Time x MIMOBOT styles – which include fan-favorite characters Finn, Jake, and Princess Bubblegum – are now available in an algebraic, upgraded 128GB of data storage, and are offered in both USB2.0 and USB3.0 formats. Based on arguably the most loveable, genderless personal gaming system to grace the Land of Ooo, the BMO Rainbow MIMOBOT has been translated on Mimoco’s unmasked MIMOBOT® cap shape for double BMO face time, perfect for getting social at SXSW Interactive in Austin! BMO Rainbow MIMOBOT, as all others in the collection, comes preloaded with an exclusive desktop interface featuring Mimory® content like a full Adventure Time episode and our MimoDesk® personalization suite, which includes BMO-themed wallpapers, icons, and avatars. The BMO Rainbow MIMOBOT joins another fan-favorite character, Fionna, as a very limited-edition exclusive from the line, which was released – and quickly sold out! 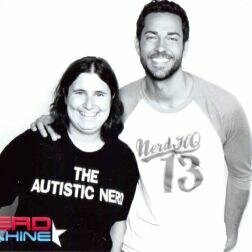 – at the 2012 San Diego Comic-Con. You have your hotel (hopefully). You have your badges. Is there anything else you might need? Oh! I know! Parking! ACE Parking has been sending out emails letting people know that San Diego Comic-Con parking will become available in Mid-April. If you plan on driving into the city every day for the Con, I highly recommend picking up parking passes when they go on sale. It’ll save you a ton of time and hassle. As we all know, time is of the essence at San Diego Comic-Con. I’ve personally used the passes before and it was very simple. I failed to purchase parking for one day though and man, what a pain in the neck! Advanced sales for parking will be made available in mid April. Please check the Comic Con web site’s parking link or Ace Parking’s website at http://www.aceparking.com for information updates.